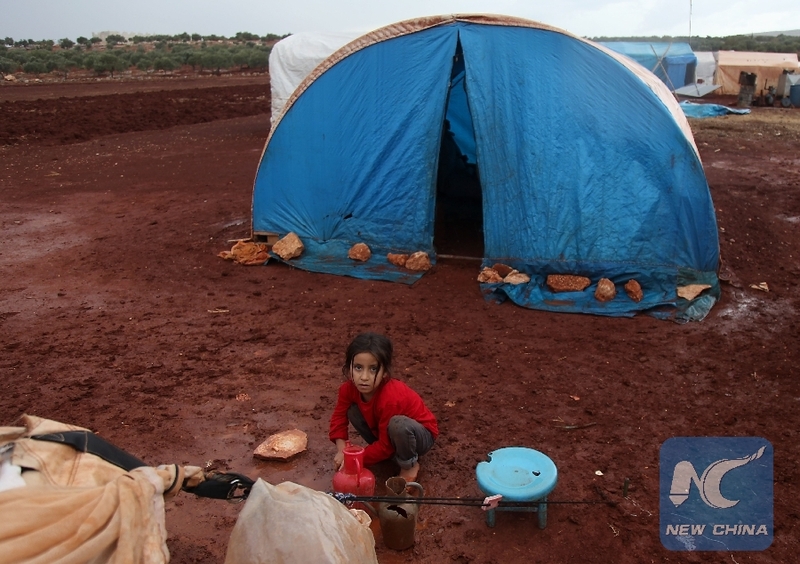 UNITED NATIONS, Oct. 29 (Xinhua) -- The top UN humanitarian official on Monday said that the United Nations has seen "a glimmer of hope" after the agreement on Syria's Idlib was reached. "We have seen a glimmer of hope in the weeks of relative quiet since the agreement on Idlib was reached," UN Under-Secretary-General for Humanitarian Affairs Mark Lowcock told the Security Council. Lowcock added that it is very important for millions of people in Idlib that this "remains the case." He noted that over the first seven months of the year, an average of almost 5.5 million people were reached with life-saving assistance each month. In September, nearly 2.5 million people were reached with food aid from Damascus. Lowcock said a humanitarian convoy had been planned on Saturday for Rukban, which has not received assistance since January, but reports of insecurity along the route forced the UN and its partners to postpone the convoy. Lowcock warned that the dire humanitarian situation in Rukban cannot be allowed to continue and that the UN is ready and willing to proceed with the convoy immediately. Lowcock, also the emergency relief coordinator, called on the Security Council to support the renewal for another year of Resolution 2165, in particular to sustain cross-border aid essential to support and protect more than 3 million people in Idlib.